As an Indian wedding photographer, I've seen a lot of lavish mandaps, but I've never seen so many roses on top of a mandap. The florists were working on this mandap for many hours, in the hot sun. But the end result was beautiful. 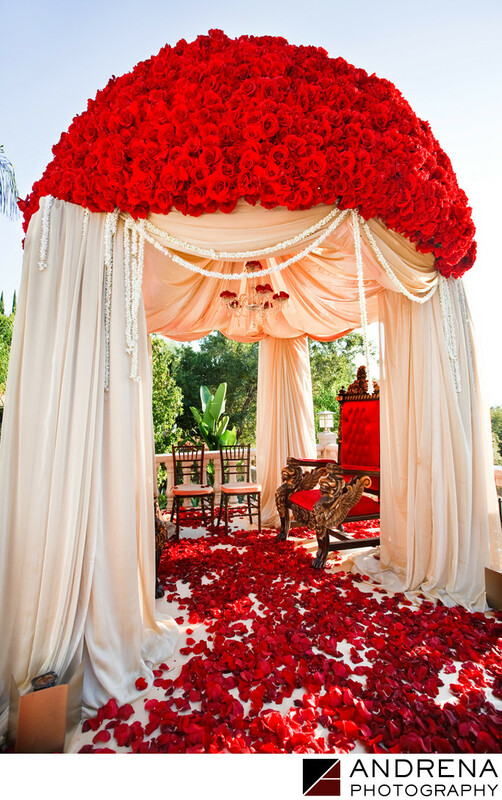 This mandap was built at a private home for an evening wedding ceremony. The reception took place the following day at the Langham in Pasadena.